Invoicing System Online, Latest Price, Manufacturers, Wholesalers & Suppliers in Kolkata, West Bengal. 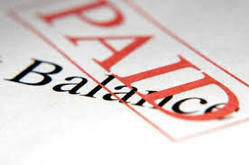 An invoicing application allows you to record and process accounting transactions within functional modules such as accounts payable, accounts receivable, payroll, and trial balance. We are engaged in offering offline or desktop services like product invoice system. CAIIS is application software that maintains daily purchase and sales details of different car accessories and prepares printable report for tax and billing purpose. Banking Software Development & Solutions All of us give great value to our hard-earned money. Therefore we try to make sure that it is in safe hands- protected. We consider options of investing it somewhere, or sometimes when we do not have a huge amount of cash which needs to be paid for a major purchase, we take a loan. We provide Tally Customized Module - Excise Invoicing as services. Features: 1. Inventory Management,2. Purchase Report,3. Wholesale and Retail Sales,4. Return System etc. his is a very simple software, which controls the billing /sale of the establishment. The bill format is customized. No stock tracking is done thru this software.